You've worked your whole life for this, and now you're going out to buy a luxury vehicle. But which one? The whole country is in love with sport utility vehicles these days and it's easy to see why. They sit you higher than sedans for a clear view of the road. They usually have more passenger and cargo room. And that look that conveys utility and a hint of ruggedness appeals to most Americans. If you're looking at a luxury SUV, might we suggest the compact 2019 Lincoln MKC. The Lincoln has the advantage of being made right here in the United States. And if this is your first luxury vehicle, it's nice to know it's among the most affordable luxury SUVs on the market. The MKC received a new front fascia (or face) for the 2019 model year. The Lincoln bisected grille that reminded us of extended wings has been replaced with a single grille piece with cascading look. The Lincoln symbol still features prominently in the center of the grille, letting everyone know you drive a luxury vehicle. Besides that, the 2019 MKC remains much the same as the 2018 model year, so let's dive into what makes this a coveted car. For being so affordable, the 2019 Lincoln MKC has a ton of features. The base trim, the MKC Premiere, starts at just $33,000 and comes standard with leatherette upholstery, heated front seats, dual-zone automatic climate control, two USB ports, Bluetooth, nine-speaker audio system, satellite radio, proximity key, MyKey, remote start, rearview camera, rear parking sensors, and the SYNC 3 infotainment system with 8-inch touch screen, Wi-Fi hot spot, Apple CarPlay, and Android Auto. With all these technological servants and entertainers, you'll feel like a queen or king in your own castle. Simply put, the MKC has more standard features than almost all its competitors despite being more affordable. But we're just getting started. 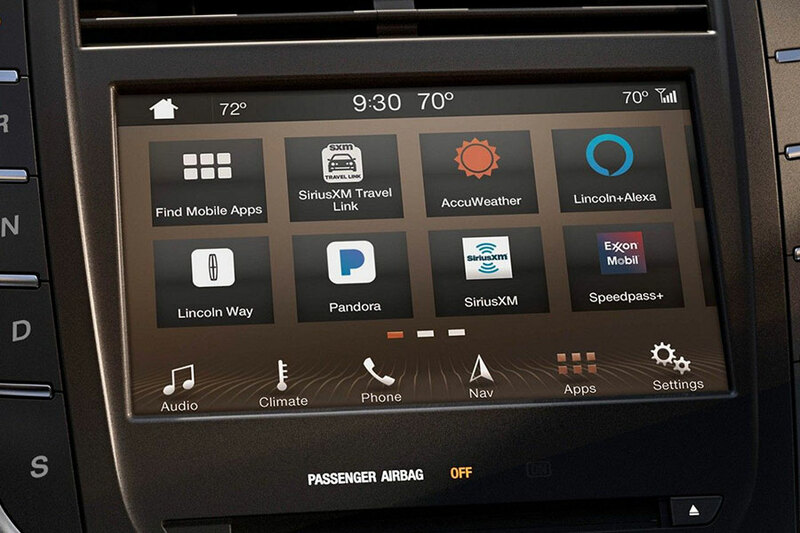 How about panoramic sunroof or a theater-worthy THX audio system? Care for ventilated front seats or hands-free power liftgate? What about navigation or dozens of active safety features like blind spot monitoring? The MKC has got them. Nearly all luxury vehicles are known for their quiet cabins and this Lincoln is no exception. The MKC is also extraordinarily comfortable. We've already mentioned the heated and ventilated seats. 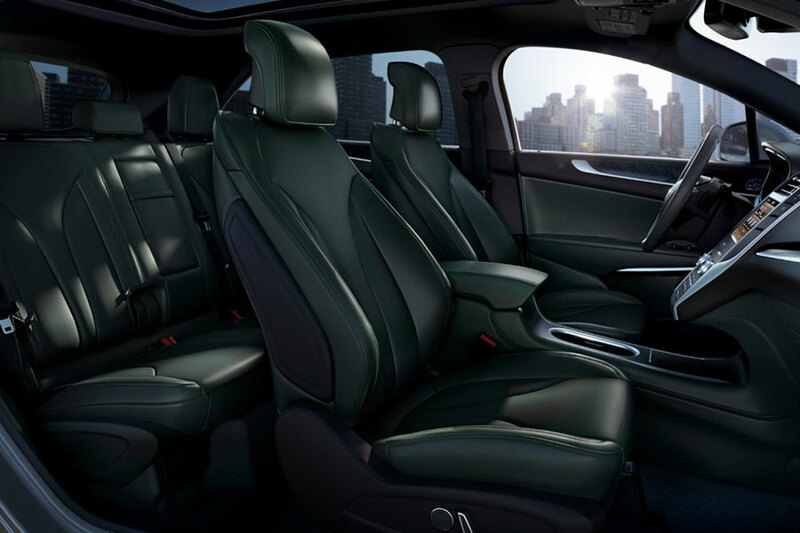 Those seats are wide and plush, meaning you're going to be wrapped in soft leatherette or leather seating. But it's not just about the seats, as nice as they are. Its composed ride also adds to the comfort and luxurious ambience. If you want to maximize your driving experience, get the optional Continuously Controlled Damping setup with modes that range from Comfort to Sport. Cutting across city traffic is a breeze, even on cobblestone roads. And when it's time to park, let the active park assist system do all the work. With the push of a button, sensors locate a parking spot and steer the MKC into place. Later, it will maneuver out for you. Like your very own mechanical chauffeur who lets you take the wheel for the fun parts.